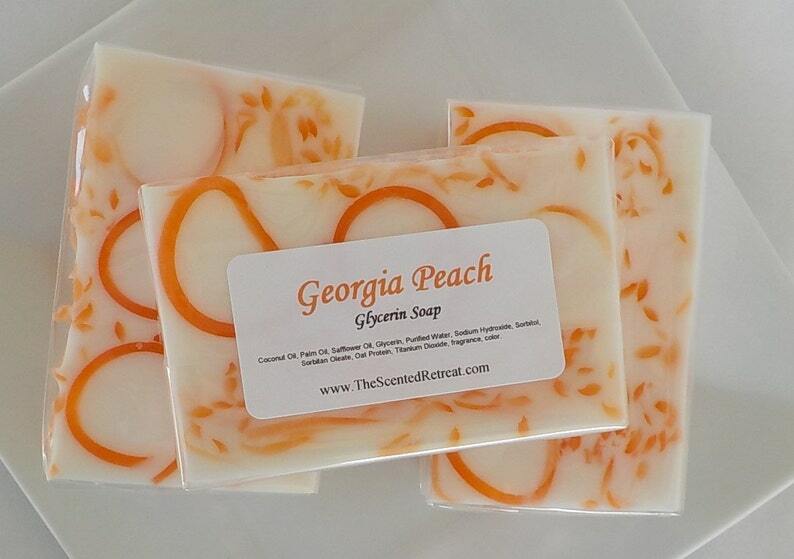 Georgia Peach Glycerin Soap - Vegan friendly. Delicious sweet Georgia Peach. We always combine shipping for multiple purchases, and refund the overage of $1 or more. Super-fast shipping! Very pretty and great smelling soap! I can't wait to use it! Awesome Seller! Will gladly buy from again! Thank you so much and thanks for the samples! They were a nice surprise!